Kelvin MacKenzie apologizes for The Sun's 1989 front page. The former editor of ‘The sun’ Kelvin MacKenzie is reported to have apologized for the offense he has caused when his newspaper gave a headline that directly accused the fans of Liverpool of being drunk and abusive during the tragedy, -‘The Truth’. 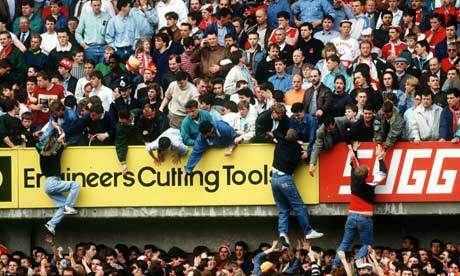 It was in 1989, four days after the disaster at the Hillsborough football stadium in Sheffield. The Sun mercilessly splashed the news on the headline which directly offended or shall we say accused Liverpool fans of being drunk, misbehaving as in pickpocketing, urinating upon police officers. They accused the fans of assaulting the police officers. Now let us come to the main agenda of Mr. Kelvin saying sorry. He was the editor at that time and he admits that to be his sole decision. What? Kelvin has issued the statement for an apology. “Today’s verdicts are an important step in obtaining justice for the victims. My heart goes out to those who have waited so long for vindication,” he said. “As I have said before, the headline I published was wrong and I am profoundly sorry for the hurt caused. Clearly, I was wrong to take the police’s version of events at face value and it is a mistake I deeply regret.” He added. The paper apologized for its reporting of the disaster in 2004 and again in 2012 after the Hillsborough report was released. MacKenzie wrote: “It would have been far more accurate had I written the headline ‘The Lies’ rather than ‘The Truth’.” An editorial in the paper called the 1989 report “the blackest day in this newspaper’s history”.